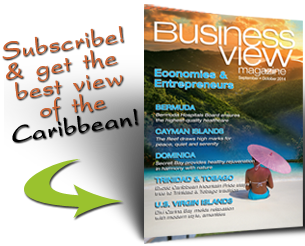 Business View Caribbean interviews Edgar Cousins, Director of Lydford Mining Company, for our focus on Best of the Best in the Caribbean. Lydford Mining is a multi-million dollar operation that mines and processes high purity limestone products in resource-laden Jamaica. Located in St. Ann, the birth parish of Reggae legend Bob Marley, this thriving company is ideally positioned geographically and experience-wise for exceptional growth. BVC: Welcome back, Edgar. 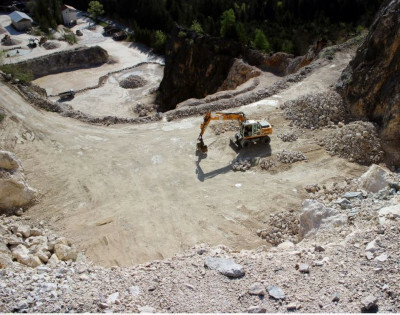 Can you tell us how Lydford Mines has evolved in the past year and a half? Cousins: “A few significant things have happened. In the last report, we had just completed a three million US dollar expansion of our plant facilities, planning to produce a construction-grade specification material and a manufactured beach sand. We’ve now had the plant in production for about eight months and it has been so successful that we are in the process of doubling the size, or perhaps even two and a half times the size. BVC: Have your employee numbers changed? Cousins: “Our labor force has grown but not by very much because, as we move to bigger equipment and more automation, we become more efficient. We currently have about 65 employees and another 15 temporary contractors at any given time. 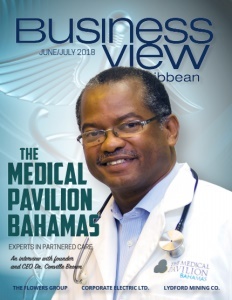 Jamaica has a shortage of skilled labor in our sector, partly because of the migration of our skilled workers to markets in the U.S. and Canada. We train our own workers, in fact, we have a policy to cross-train them – so any operator of a particular piece of equipment will be able to take over and run another piece, when, and if, called upon to do so. BVC: What type of product divisions comprise your company? Cousins: “We have four divisions. The first is very high purity material for food and pharmaceutical grade, which is pretty much on the raw material side – all for export. The second is a construction-grade operation. We produce unwashed aggregates for the local construction industry through a dry production system. Then, the new part, which we set up in the last year, is for both local and export construction aggregates. The plant we just bought is three times the size of the existing facility, which will allow us to take advantage of opportunities on the domestic construction market for specification aggregates. And that’s the key. These materials all meet ASM specifications for high quality concrete and roadwork. We also will be exporting those washed construction aggregates including a specification sand and specification aggregates for concrete and roadwork. The existing plant we set up last year will remain in production as a parallel operation to concurrently produce a manufactured beach sand for beach re-nourishment and beach creation. BVC: Has business increased due to rebuilding after last fall’s hurricane season? Cousins: “Business has increased but not for that reason directly. We were, thankfully, spared from the hurricane devastation but, because of general global warming and climate change, there is beach erosion that takes place all the time. So, there is a growing market for beach re-nourishment and beach creation, and we expect that market to increase significantly. 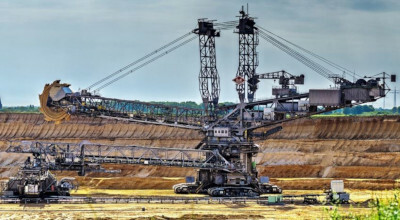 BVC: Is competition a major factor and how do you differentiate Lydford Mining? Cousins: “There has been a restructuring of the mining and quarrying industries in Jamaica. Because of the difficulty in accessing capital, the small operators can’t generate the efficiencies needed to get to the next step. So, there has been some consolidation among the bigger players but, more importantly, because of the increased development, there is actually a shortage of aggregate. The timing for us is fortuitous. Also, there has been a shift in government policy from the traditional source of construction material (volcanic material produced naturally from the rivers), towards a manufactured construction material from limestone. Which is exactly where we’re positioned. “Truth be told, we’re very well known internationally. We don’t need to market ourselves in the food and pharmaceutical grade because there are so few players in the international market that everybody knows who everybody is. Locally, although we have been very successful in the last year selling into the construction aggregate market, we haven’t pushed it until we have the big new plant installed. Then, we will definitely go forward with a marketing program, including a website; as it is we already have most of the major builders and contractors coming to us. So, we’re encouraged. BVC: You have a strong momentum going. What are Lydford Mining’s objectives for the future, and what do you see ahead for the limestone sector? Cousins: “We’re still about 70 percent export vs. 30 percent domestic, but we expect our domestic market will climb dramatically this year. And, hopefully, the exports will climb because of the new capacity we have. The new facility should be up and running this summer – the machinery (brand new U.S.-made equipment) is already being shipped. We are thankful for a close, long-term relationship with J. M. Huber out of Atlanta for food and pharmaceutical applications. For FGD (Flue Gas Desulfurization) material, we have a valuable relationship with Mississippi Lime, supplying a plant in Alabama. Internally, those are the two big ones that have been very important to our success. “We see significant growth opportunities ahead in the domestic and export markets for specification construction aggregates. 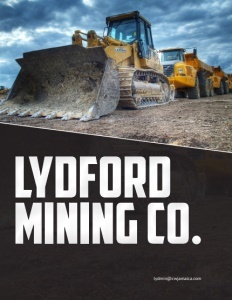 As far as Lydford Mining is concerned, in addition to plant expansion we have going on now, it’s no longer a secret that by next year we intend to do an IPO and take the company public; list it on the local stock exchange in Jamaica. “For the industry itself, I see growth simply because, after many years, there is a lot of confidence in our Jamaican economy. It’s very stable at the moment and there is big investment coming in. The availability of limestone is good – certainly for the next hundred years. Although we do surface mining and we’re going into the side of a mountain, it’s a pretty small footprint. Once we’re done with that we are required to restore it by law, by putting topsoil back and planting grass and trees. But we’re not there yet, we’re still mining in the same spot after 26 years. To sum it up we’re very optimistic about the future. For an in-depth look at Lydford Mining Co. history and past accomplishments, visit our December 2016 feature “Lucrative Limestone”. Armstrong Equipment, Inc. – Armstrong Equipment, Inc. is one of the subsidiaries of Armstrong Group International, Inc. which was founded in 1978, by its owner and president, Mr. Lewis R. Armstrong. Over the past 35 years, the firm has become a leader in the sales of heavy equipment specializing in aggregate machinery and road building equipment. 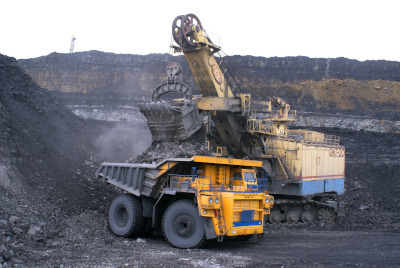 Armstrong Equipment stocks, develops, and manufactures innovative and problem solving products for its customers, including new, used, and rebuilt equipment, as well as spare parts used in the mining, road building, and rock quarry industries. Armstrong provides prompt service, competitive prices, and fast delivery, which are the keys to maintaining its customers’ valued business. While advanced technology and systems are essential to a service oriented company in today’s hi-tech world, it’s been the dedicated and professional men and women that make up Armstrong’s staff, that have allowed the company to maintain its standards of excellence, and in the process, keep its customers satisfied.